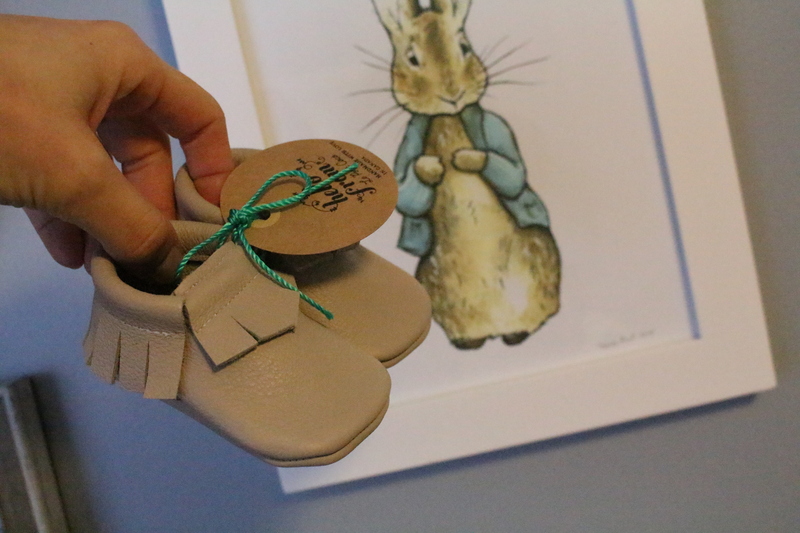 I posted last week some of the moccs I’ve been lusting after (you can see them here) but there is one vendor in particular that I went with because A) she’s local in Calgary, and B) several other mamas in the blog world have raved about her. So when I saw Danielle was running a spring sale on custom made moccs, I ordered right away. PS: I may have even ordered them while I was sitting in the doctor’s office ;). Her Etsy shop can be viewed here. 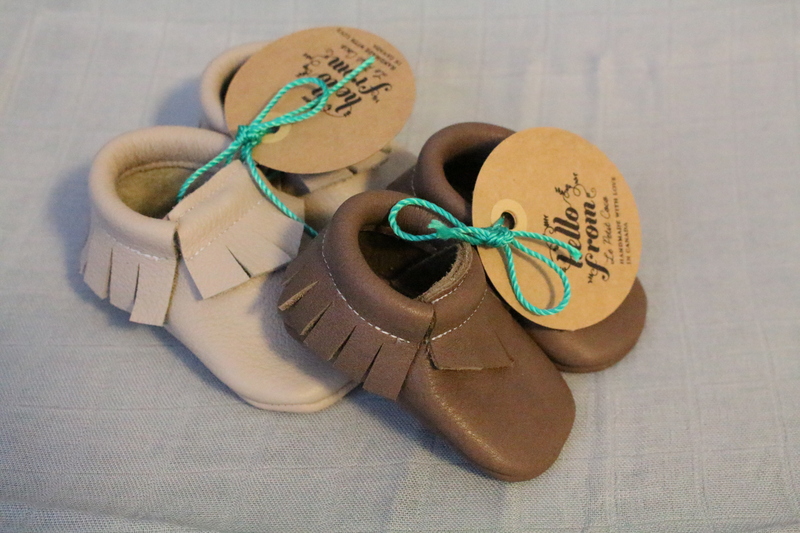 Genuine leather moccs made just for my kid? Sign me up. 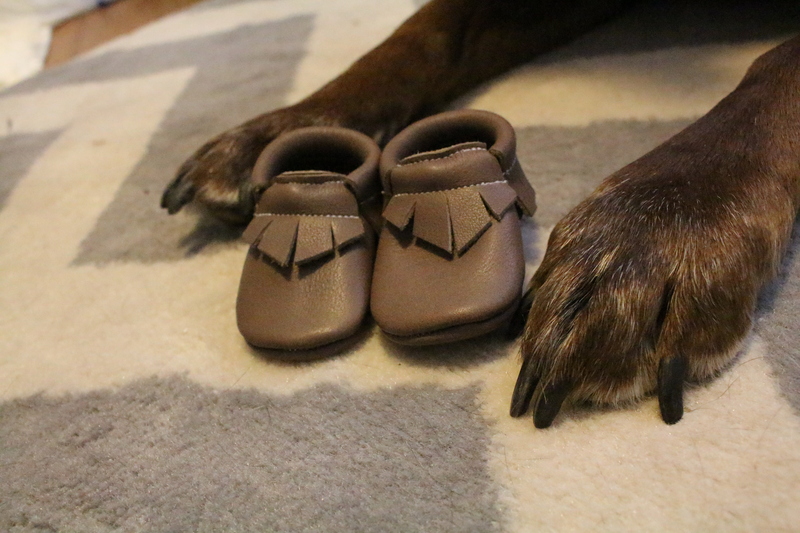 I can’t wait to get these on our little guy! 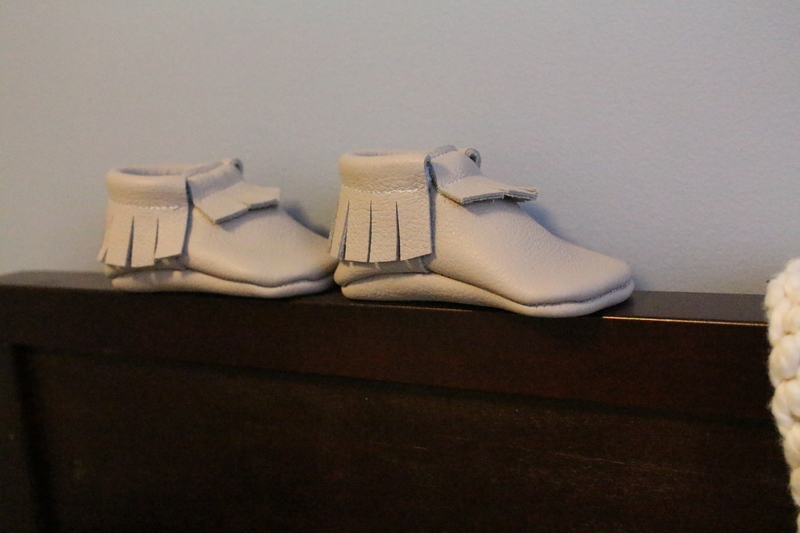 I ordered the light brown leather in size 1 and the cream in 2 (here’s to hoping he doesn’t grow out of shoes as fast as his mama did!) I’ve been told they’re pretty durable and stretch a bit with wear- both indoors and outdoors. 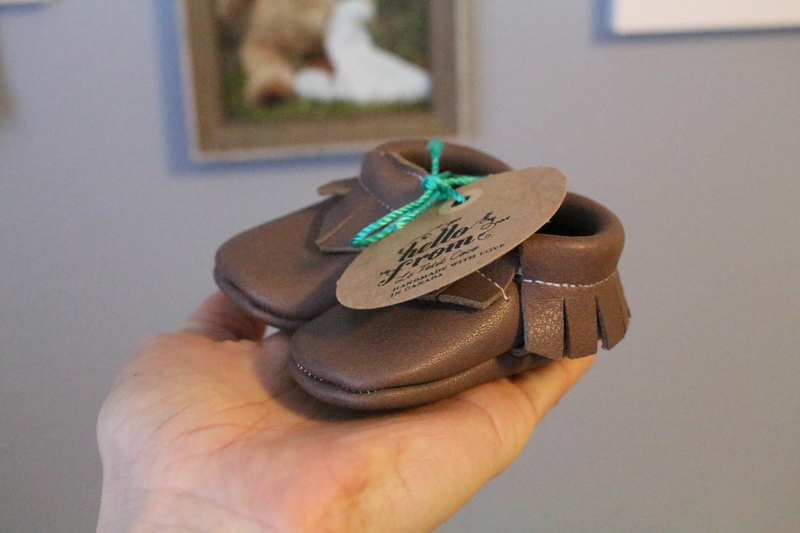 I’m super excited to have our baby wear these as he grows (sizes range from 1-7) so I will definitely be ordering more in the future. And guess what? Danielle has been kind enough to offer a 25% discount for readers! How awesome is that? Just use the promo code FAB25 at the time of your order. On another note, his actual outfit should be delivered tomorrow, and I’m anxious to share that Etsy shop with you next week! And on a third note, Tyler and I had our maternity photos taken on Monday with the wonderfully talented Whitney Cowan (yet another highly raved about person from fellow local blogging mamas). She immediately got us a sneak peak on Facebook- way faster than our wedding photographer *cough cough*- so I thought I’d share that here as well! I can’t wait to see the rest of the pics. We really did luck out with a sunny, warm March day in CALGARY of all places. Hope you’re all having a great Wednesday, see ya tomorrow!